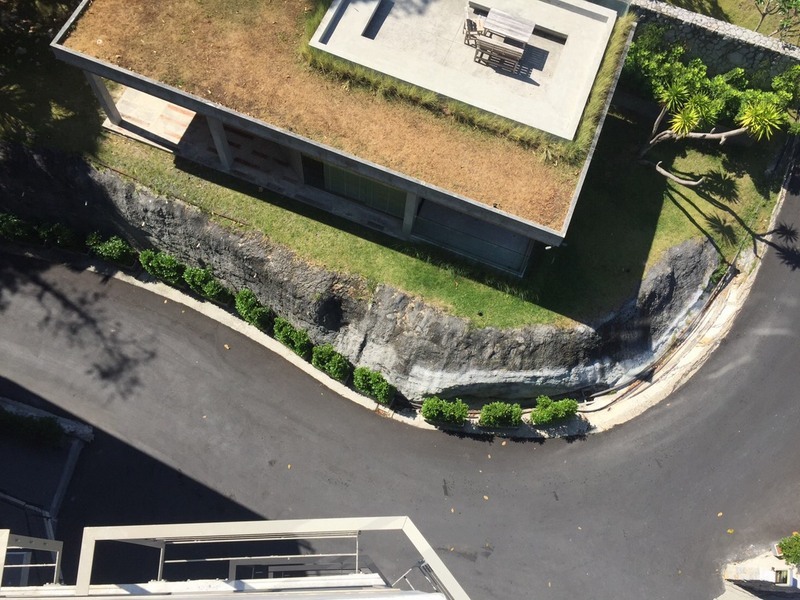 PHUKET: A 9-year-old Chinese boy has died after falling from a rooftop pool at a hotel in Kamala early yesterday evening (Feb 10). The boy was staying staying on the fifth floor of the hotel with his father and sister, noted Lt Col Somnuek Damkaew of the Kamala Police in his report. The three had arrived in Phuket on Friday (Feb 8) with 17 other relatives on a week-long large family holiday from Guangdong, he added. The boy along with seven relatives were playing in the rooftop pool at about 7pm. “The pool area has a glass wall that is 80 centimetres tall around its perimeter. 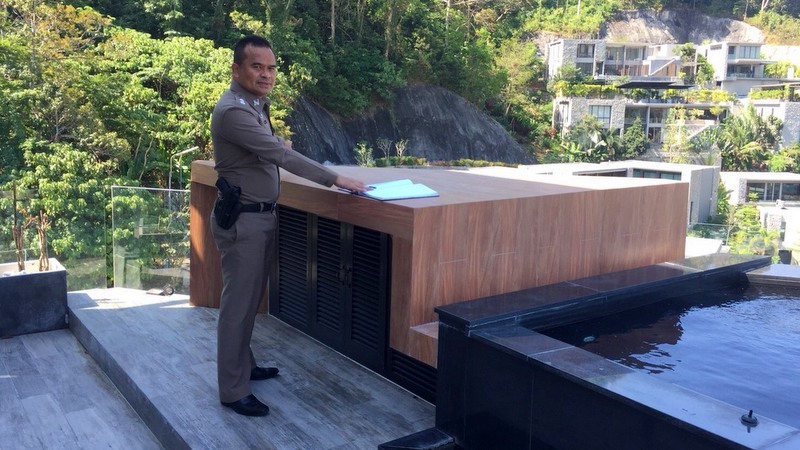 However, the boy climbed up onto the box covering the pool pump to jump into the pool,” Kamala Police Chief Somkid Boonrat explained to The Phuket News this morning. The father saw the boy climbing onto the pump covering to jump into the pool and called for him to come down, but the boy slipped and fell to the ground, Col Somnuek noted in his report. 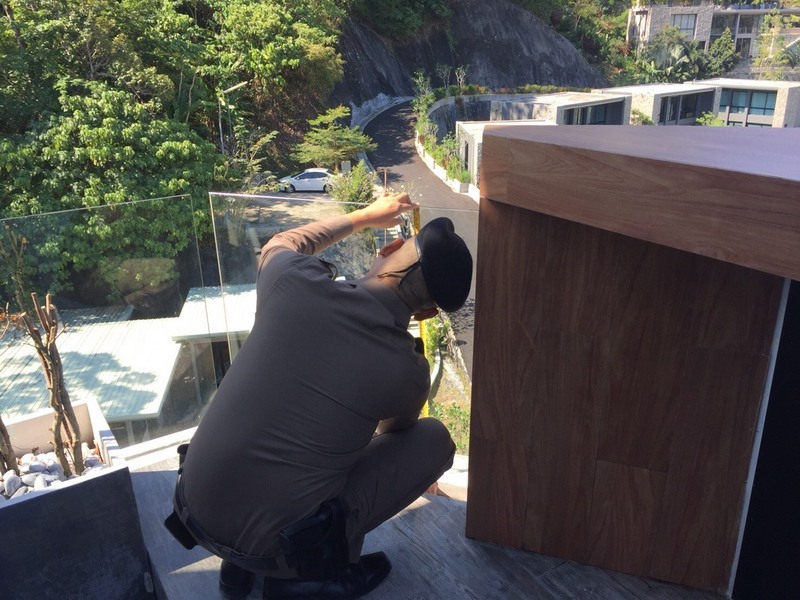 Photos from the scene show that large, flat wooden covering over pool pump has no railing along its terminal side and no railings to prevent people from easily stepping up onto it. Kamala rescue workers soon arrived to find the boy unconscious and unresponsive, and rushed him to Patong Hospital. However, doctors confirmed pronounced the boy had died from his injuries at the scene. “Police officers have investigated the scene and questioned the boy’s father as a witness,” Col Somnuek confirmed in his report. Chinese consular officials have been informed of the boy’s death, he added. Police are continuing their investigation into the incident, Col Somneuk noted. In the photo, it looks like the policeman is standing at the cover. No sufficient preventing railing works? Now it is daily that chinese tourists are dying on Phuket Island. Time China advice it's citizens not to go to Phuket without a good life insurance. Or better, not go to Phuket at all. It's not safe for chinese tourists. Karma?